Tradecorp Europe team welcomes a new member for the Baltic Countries! » News » Corporate news » Tradecorp Europe team welcomes a new member for the Baltic Countries! 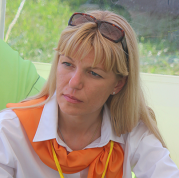 Irma Dovidaviciene has joined Tradecorp Europe team as the new Baltic Countries Manager. Irma started working with us on the March 1st, joining the EuropA Technical and Marketing Department. She will manage the already consolidated business in the Baltic countries with our client Baltic Agro, supporting and implementing both marketing and technical activities in Lithuania, Latvia and Estonia. She holds a bachelor’s degree in Business Management and Marketing from Vilnius University in Lithuania. She is a native Lithuanian speaker, fully fluent in English and Russian with good knowledge of the Italian and Polish languages. Irma has gained great experience and expertise in the agricultural sector while working for several companies dealing with NPK fertilizers, microelements and biostimulants.